One of the most confusing things about bluetooth low energy is how data is moved around. Depending on your application, your device state may be fairly complex. That means having an individual endpoint for every piece of data is suicide by Bluetooth. A protocol buffer is a programatic way to encode/decode optimized structured data. They can be shared and manipulated across almost any platform. Nordic actually uses a variant of it for their DFU service. There was a lot of buzz words in the first few sentences. Hopefully, by the end of this post you’ll understand exactly what I’m talking about. So, how do you use this magical software? The first part of the process is to make sure you’ve installed all the correct utilities. Depending on what programming language will determine what you install and use. In this case I’ll outline the utilities that I have used for the Dondi Lib. protoc is the most important utility you’ll have to install here. For Mac, download the appropriate release here. Consider protoc the compiler for Protocol Buffers. It can either output raw files or libraries directly. That’s because it’s got Go support built in. That raw data can also be used to generate static libraries for other languages. That usually requires an extra utility (or utilities). I describe the two that the Dondi Lib project used below. nanopb is a python script used to create C libraries that encode/decode your structured data. nanopb is meant for deployment on embedded platforms. The libraries, when installed, are small but aren’t trivial in size either. For the Dondi Lib project, I ended up removing the encoding functionality because it saved a significant amount of flash space. I organized all the source files for the protocol buffer setup within the Git repo for the Doni Lib. I then created config.proto and placed it in a folder called proto. It may look foreign at first but once you take a deeper look, it’s not that much different than a standard C struct or hash table. In my case I’ve nested a LedColorConfig inside a LedConfig inside a Config. Each one of these representing a structure data. As you can imagine, you can nest as much as your heart desires. My main goal was to structure the device state logically but also in a single efficient package. The above example includes typical data structures and features that you’d find in C code. For instance, it includes the definition of an enumeration. It provides default values for each of the entries. I also added a _unused variable. These are useful for adding padding to the structure. That way you don’t have an un-even amount of bytes to transfer. This turns into a bit of a nightmare because the MTU is usually evenly sized. I also used this file to define the max size of the __unused variable. That way I could tweak it depending on all the other data points. Too many bytes? Minus 1 on __unused. Not enough? Add 1. This was a bit of trial and error depending on how many bytes the compiler wants to put in the struct generated by nanopb. My best suggestion is to print out the result of sizeof once the program compiles. Then you are darn sure how many bytes your generated c-struct is. In order to make this as easy as possible, I put all the following code into a Makefile. When you make a change to the Protocol Buffer, that every library for every language used gets generated. %.pb: %.proto is a typical Makefile directive to search for every file that ends with .proto. $< refers to the output filename and $@ refers to the input file name. So if you had config.proto, $< would be equal to config.pb and $@ would be equal to config.proto. It’s a nifty Makefile structure that is used often. protoc -I$(PROTO_DIR) --go_out=$(PROTO_DIR) $< generates a .go library from the .proto file in your proto directory. protoc -I$(PROTO_DIR) -o$*.pb $< generates a .pb file which is the “compiled” version of the .proto file. This is where the C code is generated from the .proto file. I recommend placing nanopb_generator.py inside your repository as well. That way, you can maintain a consistent toolchain especially if there are multiple engineers working on the project. Side note: there are several different ‘versions’ of Protocol Buffers. Make sure that all the tools you choose to use are operating on the right one! Then, compile the payload. i.e. turn human readable JSON into nicely packed binary. See below. Notice the similarities compared with the .proto file? Here’s another example of encoding but using Golang. The output of this operation is what we’re most interested in. In this case out has the encoded binary data. As you can imagine, we can then send that data through the web, or directly to a device via Bluetooth Low Energy. The world of Protocol Buffers is your oyster. First, you create an input stream based on the raw data and the size of the data. Then, you use the pb_decode function. You point the first argument to the input stream. The second to the definition of our Protocol Buffer we’ve been working with. The last argument is a pointer to a struct which matches the data type represented by sign_Config_fields. Depending on how you set up your Protocol Buffer, sign_Config_fields may be a different name for you. Look for the section called /* Struct field encoding specification for nanopb */ in your config.pb.h file. If you’re not down for the complexity, there are other alternatives. I’ve used MessagePack with some success on previous products. It’s straightforward and has tons of support for a majority of programming languages. 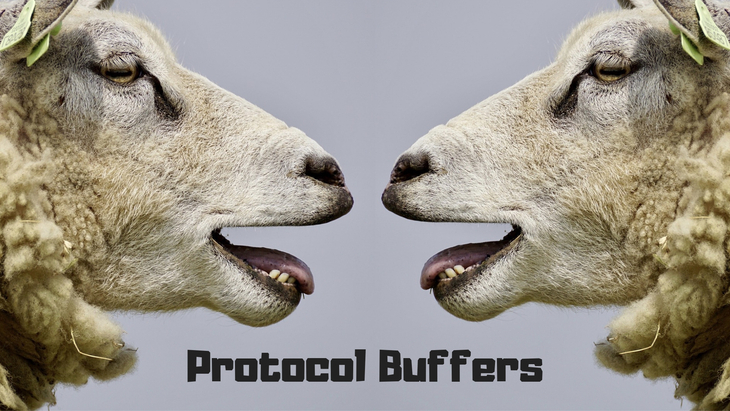 Check it out if Protocol Buffers don’t float your boat. In this post I went through how to compile static libraries using Protocol Buffers. It’s a sane way to develop a platform and language agnostic communication structures for your projects. In Part two, I’ll show you how to set up a very simple Bluetooth Service and Characteristic that will be used to transfer our freshly encoded data to-and-fro.